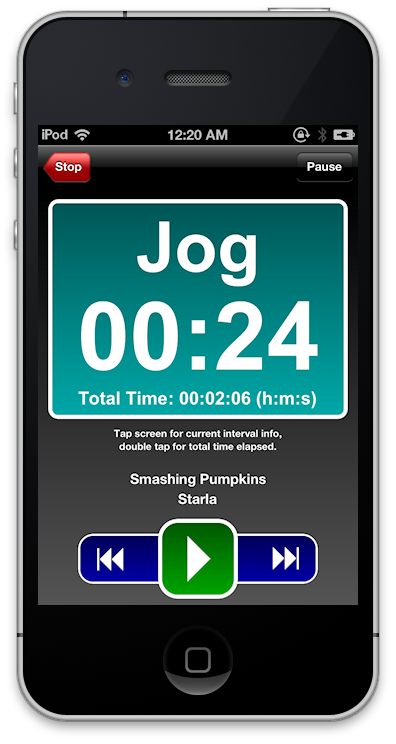 rTimer (formerly known as Runner’s Interval timer) is an easy-to-use interval training application for iPhone and iPod Touch. Download the application from the app store and try it out. Interval Training is a form of exercise where you alternate between high and low intensity activity for set periods of time. You can use interval training to help train for long distance running. You can easily configure a given interval by touching the interval’s description on the main screen. 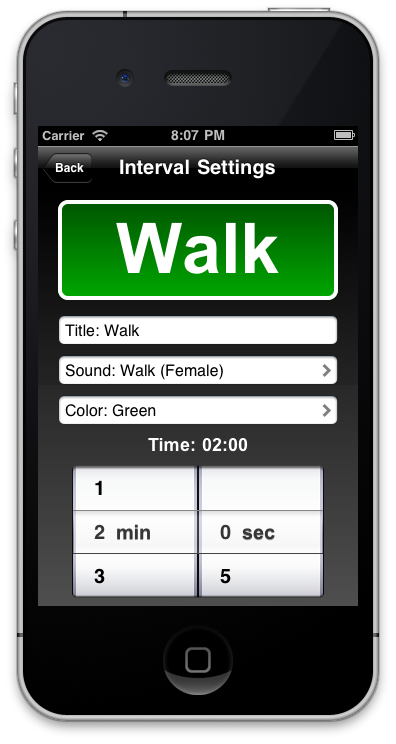 From there you will be able to configure the title, time, background color, and sound for the selected interval. When you are ready to start your interval training, simply select the “Start Timer” button on the home screen. Customizable interval labels, sounds, background colors, and times. Instant audio status alerts for interval time left and total time elapsed are right at your finger tips by tapping or double tapping the screen. Ipod music is paused when interval sounds and status alerts play, so you never miss an interval switch. 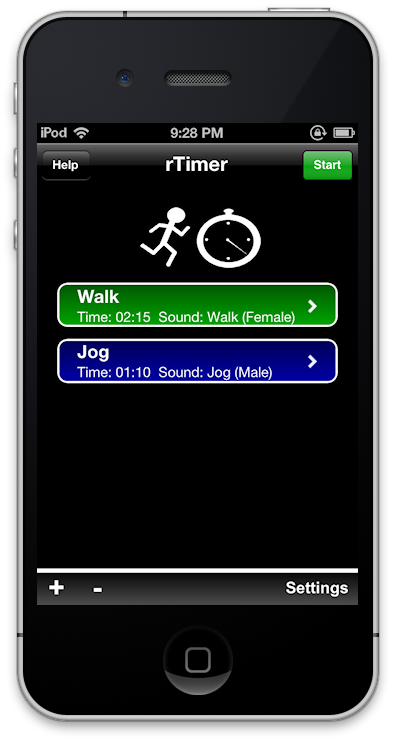 More than 20 interval sounds to choose from, including chimes, beeps, short song clips, and spoken words such as “Run”. Works in the background, so you can multitask without missing an interval change. Large music playback controls right on the interval screen make it easy for you to pause, play, and navigate your music. Keep the screen unlocked, and pause/resume the timer with a simple tap or swipe. Works with other music players such as Pandora, Rhapsody, and Spotify. 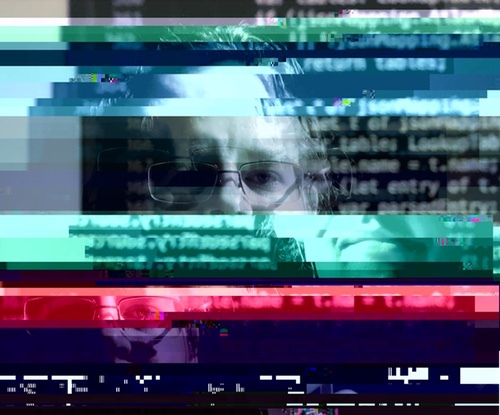 (Music for these third party apps cannot be paused or changed by rTimer, sorry). Supports as many intervals as you need, simply add or remove intervals by tapping “+” or “-“.